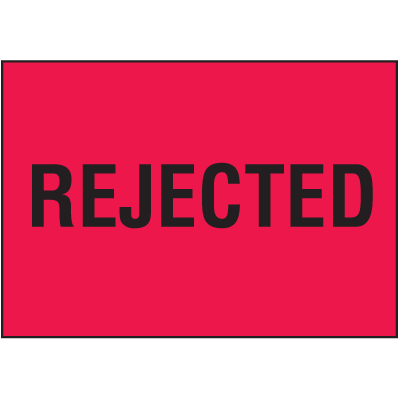 Seton's Rejected Labels are backed by our 100% Satisfaction Guarantee! 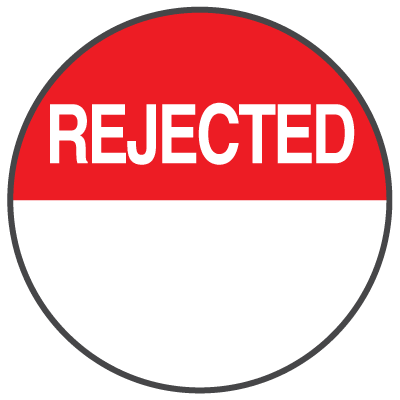 Select from a wide variety of Rejected Labels at competitive prices. 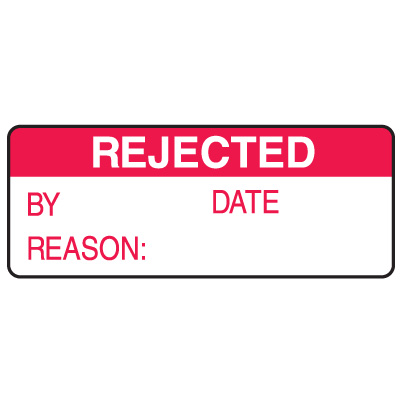 Plus most of our top-quality Rejected Labels are in stock and ready to ship today. 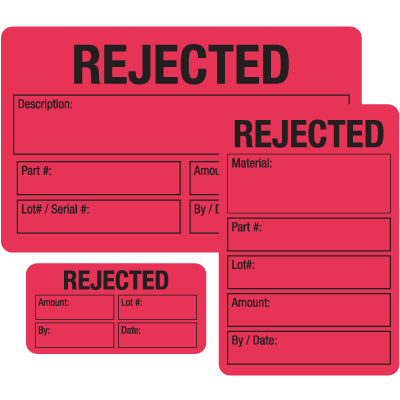 Rejected by inventory control labels specify priorities and package status. 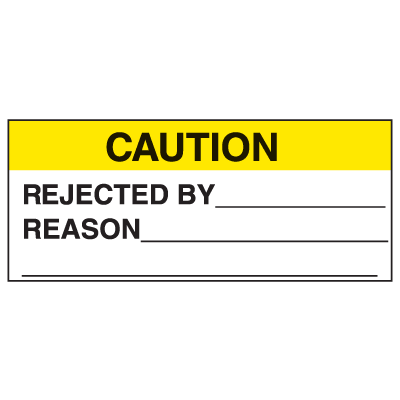 Rejected inventory control labels specify priorities and package status. 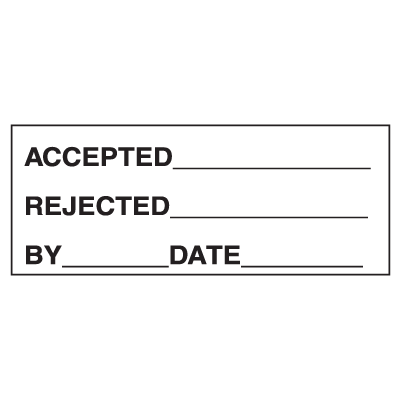 Inspection/Rejected status label is designed to carry dates of inspection and rejection. Rejected status label provides a space where individuals can illustrate important dates and initials when maintaining a selected item.